For those that didn’t know, Murf ran a month-long contest called the NBI 2015 Safari to help get us newbie bloggers some prompts and ideas to spring board. In his most recent post, he announces the winners of the Safari! All in all, all of the entries were magnificent, so be sure to check them all out, and not just the Winners. 🙂 Who knows, you may find another blog for your blog roll or feedreader! If you won, please consider reposting your screenshot with a link back this this post. It’ll be an awesome way to show off and an opportunity to get one last boost in seeing everyone else’s entries or a list of all of those who participated. Similarly, if you didn’t win, reposting all of your submission in one place as one big round-up wouldn’t be a bad idea either. You could also link back here and help those who did win get a little more coverage, while putting a big, fat blogroll in front of everyone else. I loved the idea of the single screenshots posts. Some people left it at a few sentences, but I found myself writing a few paragraphs (what can I say, even my short posts are kind of long…). This is also a writing style/prompt you may see around the blog more often. I’m aiming to try to start writing in my blog every day because I feel better emotionally when I do (even if it’s just happy stuff, happy can get overwhelming! ), and sometimes bloggers-block can happen. And that’s more than likely when you’ll see my screenshots with some flavor text (okay okay, flavor paragraphs!). But anyways, here’s a recap of the screenshots and posts I entered for the Screenshot Safari this year! In my Selfie post I talk a bit about why I liked the shot, and also discuss a bit about how I see Chestnut as an RP character, and how I view myself in Chestnut (whether she be an Aurin or a Tauren Bear Tank). In my achievement post, I discuss why a simple world boss kill after Contracts came out is still an achievement to me. 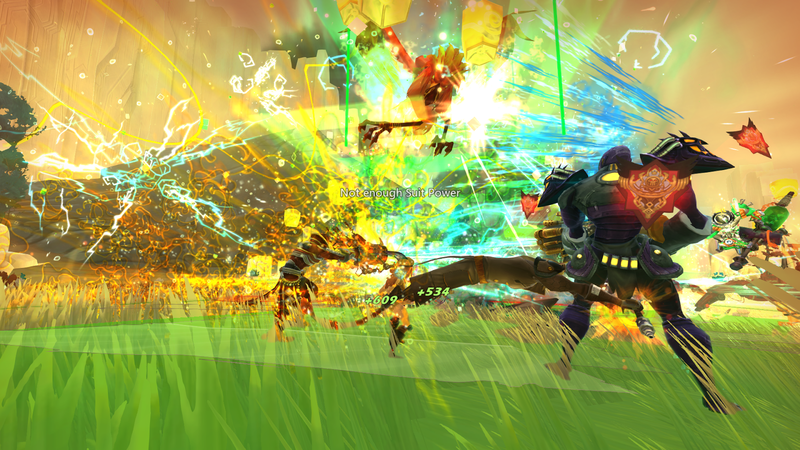 Also, doesn’t the WildStar combat just look cool? 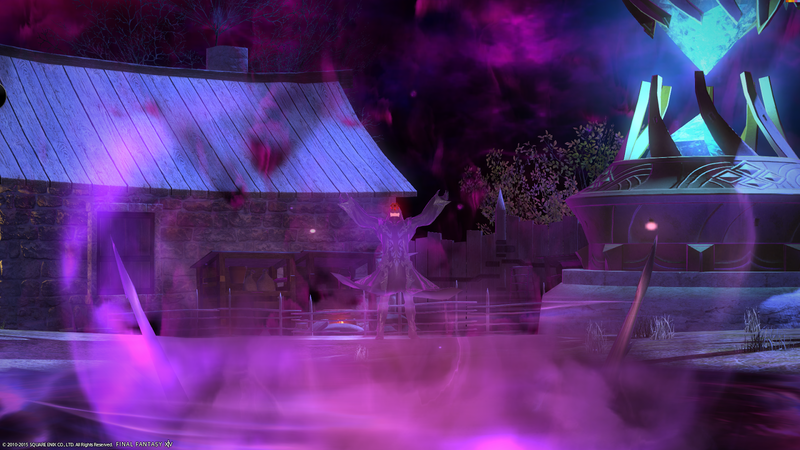 My villain post was a shot from a FFXIV cutscene. But the topic itself really got me thinking–what does make a villain? How does one truly define this in MMOs, especially those with dual-factions? My thoughts and other questions are posed in this particular post. I decided to go with the landscape theme for my final submission to the Safari (because I never read the updated rules… shame on me!). 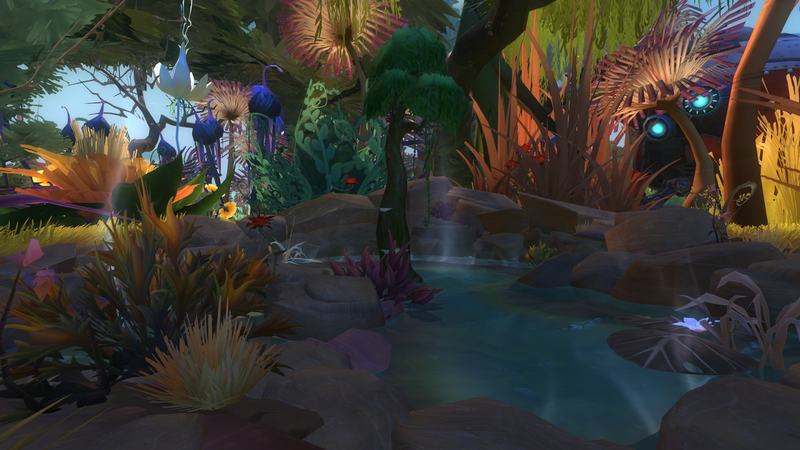 The really cool thing about WildStar is that you’re not limited to the landscapes that the Developers provide in the various zones–you also have a plethora of player-created landscapes that you could spend weeks going through, only to find someone re-did their plot, and you have even more to go through. For the record, I loved all of your submissions. Thank you. 🙂 I had a lot of fun participating!